I like to daydream a lot.. and having a gallery is one of my daydreams as well. It was just like yesterday when I pick up my first DLSR (Canon 400d) at One Utama Shopping Mall for my family portrait usage. I still remember the day when I look at the master wedding photographer’s slideshow in the workshop which took my breath away and from there onward, I told myself, one day I wanna be able to capture the moments shoots just like my sifu. Since late year 2007, I would say that I am glad that I have chosen this path for my passion and in between, I also come to know a lot of my buddies and clients who are all now my friends. Beside I always dream of having my own studio or gallery , a place for me to display all my highlighted images and a place for me to meet up with clients and buddies for discussion rather than in Starbucks area. Thanks to my business partners, Nicholas Leong (Nicholas Leong Photography) and Sharon (The Weddingholics) who help to fulfill my little daydream. Vie is the umbrella brand for the partnership between three very passionate parties on everything to do with wedding. Edwin Tan Photography, Nicholas Leong Photography and The Weddingholics aim to provide the very best to all couples. Vie, French for lifetime, was chosen as the name because we believe that all weddings should last a lifetime. Our gallery is located at Centrio, a beautiful SOHO complex in Pantai Hillpark, that is fitting of our ideals and personalities. 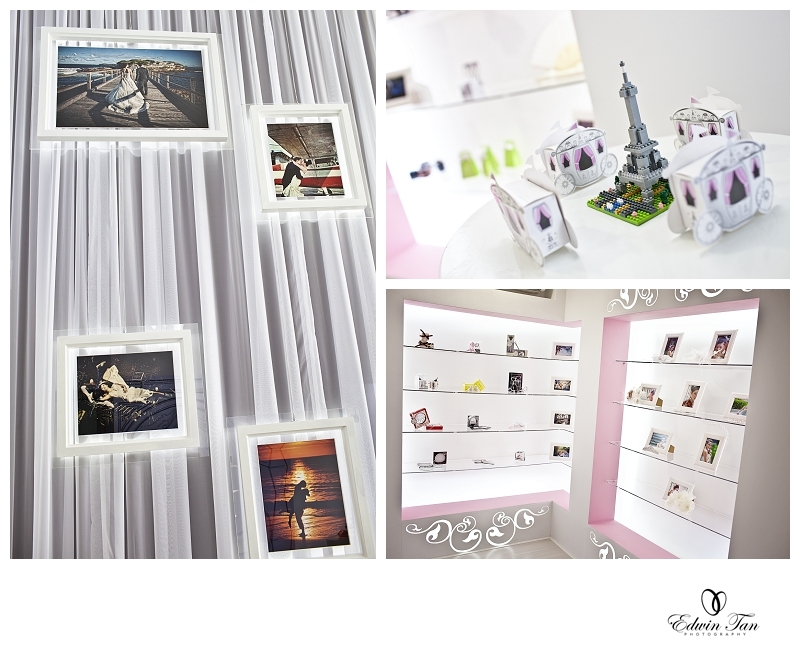 Our gallery officially opened on 7th Sept 2011 and after a month of preparation and getting ready, we invited our buddies, vendors and clients for the launching on 2nd Oct 2011. Once again, thank you to all the guests who travel as far as from Singapore, Penang and Kuantan and joined us on this special occasion and celebration and your gifts ! I hope you have enjoy the fun photo booth that we prepared too. For all who cant attend on that day itself, you are always welcome to drop-by our gallery over a coffee.